Experience the magic of scenic Steamboat Springs. From the peaks of its snowy mountains to its cozy valley village, Sheraton Steamboat Springs Villas offers a breathtaking vacation that you’ll be dreaming about all year. SellMyTimeshareNow.com has timeshare units available at up to 70% off the retail price right now! Wake up to countless possibilities right outside your window in Steamboat Springs, Colorado. At the Sheraton Steamboat Resort, you’ll be within reach to some amazing year-round mountain sports. Hit the slopes for a skiing or snowboarding aventure, go mountain biking, or pack for a great hike. Whatever your pleasure is, you're bound to find it on the trails outside the Sheraton Steamboat Villas. You’re so close to the action, you can see the slopes and the chairlifts from the lounge while you wine and dine on some amazing cuisines at Sevens Mountain Grill. Whether you’re out for an adventure or pining for relaxation, you and your loved ones will enjoy all of the encompassing activities that Sheraton Steamboat has to offer. Hit the links at the beautiful Rollingstone Ranch Golf Course or any one of the numerous golf courses nearby; get any one of the great massage treatments at the Rocky Mountain Day Spa; or take a break from the weather and unwind at the PLAY Game Room. Once you’ve had enough for the day, retire back to your cozy room where the warm, comfortable atmosphere is a perfect nest to admire the gorgeous views from your windows. Share a cup of cocoa with your family or a nice glass of wine with your significant other. Can’t wait to purchase your next Colorado home-away-from-home? Fill out the form on the right or call our Steamboat Sheraton timeshare resale specialists at 1-877-815-4227. Purchasing a timeshare resale or rental will allow you to enjoy the same luxuries and accommodations that owners of Sheraton Steamboat timeshares have but at a fraction of the price. Avoid those lengthy sales pitches and hidden fees added to the value of your property. Through us, you’ll be purchasing your timeshare resale directly from the current owner at a fair price based on the current trends of the secondary market. 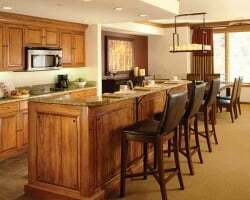 Sheraton Steamboat Resort Villas offers timeshare ownership in the form of fixed or floating weeks in Silver, Gold, and Platinum seasons. Weeks can be used annually or biennially depending on which type of ownership you choose. Ownership is deeded which means that your week becomes your own property with a lifetime guarantee! 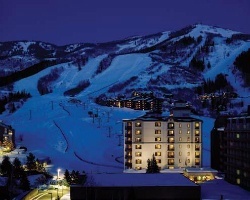 Like other Sheraton resorts, Steamboat Resort is part of the Starwood Vacation Ownership brand. 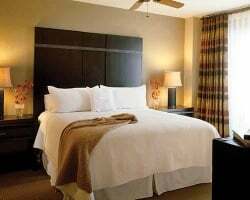 Sheraton Steamboat joins a catalog of other Starwood Resorts that promise luxurious accommodations at affordable prices. Starwood Resorts is a leader in the industry and offers nothing but the best resorts all over North America and the Caribbean. Visit the Starwood Information Center to learn more about the brand. For those looking to join a timeshare exchange program, you have the opportunity as a Sheraton Steamboat Resort Villas timeshare owner to purchase a membership to Interval International. II is the second largest external timeshare exchange company in the world, offering over 2,900 resorts in over 80 countries. Find a resort that you’d like to travel to, then submit your timeshare week and access available weeks at whichever resort you choose. Steamboat Sheraton is an Interval International Premier Resort, which means that based on the resort’s high demand, you’ll be able to exchange your week and vacation virtually anywhere you choose. Located right in the Colorado Rockies, Sheraton Steamboat Springs Villas offers some luxurious amenities including an outdoor heated pool, a rooftop terrace with outdoor whirlpool spas, and a fitness center. Sheraton Steamboat is the perfect place to shred some champagne powder snow in the winter, and offers unique activities like horseback riding, fly fishing, and kayaking in the summer. 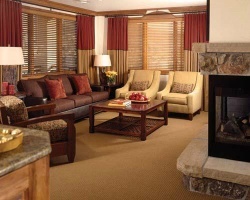 Rentals for skis and bikes are available at the Sheraton Steamboat Villas as well as a valet service for both. Plenty of exciting activities are also available for those looking to stay closer to the base such as ice skating, racquetball, and tennis. Whether you’re looking for a scenic atmosphere to stay active or you’re interested in a cozy room with an unbeatable view, Sheraton Steamboat is the perfect place for any traveler. Already Own at Sheraton Steamboat Resort?